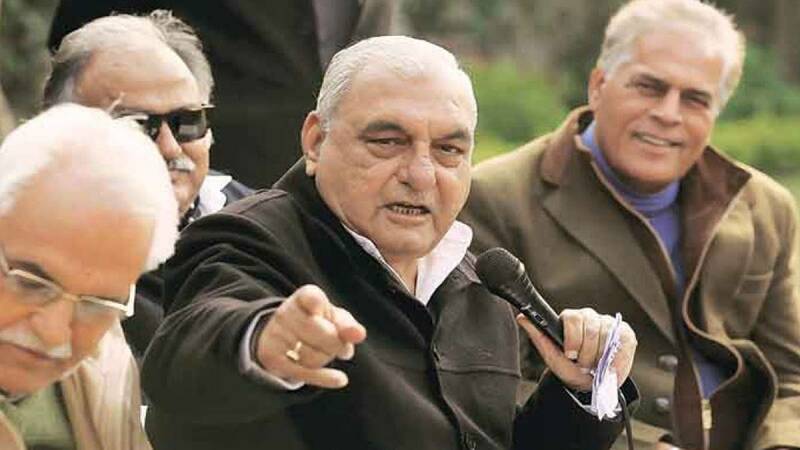 Rohtak : More trouble mounted for former Haryana Chief Minister Bhupinder Singh Hooda as CBI on Saturday raided his residence in Rohtak in connection with the release of around 400 acres of land acquired by the previous Congress government at throwaway prices from villagers in Gurgaon and allegedly sold off to private builders. # CBI on Saturday raided residence of former Chief Minister of Haryana Bhupinder Singh Hooda in Rohtak. # The raid was conducted in a case registered by the agency in September 2015 in connection with the release of around 400 acres of land acquired by the previous Congress government at throwaway prices from villagers in Gurgaon and allegedly sold off to private builders. # BJP had taken over Haryana in 2014, since then Hooda has been embroiled in one controversy after the other. # In July 2016, the Enforcement Directorate (ED) registered a case against Hooda and the Associated Journal Ltd, the publisher of National Herald newspaper and others under the Prevention of Money Laundering Act (PMLA) in a disproportionate land allotment case.